Guarujá Island is a place where locals from the busy Sao Paulo come to escape the hustle and bustle of city life. It provides a lovely calm paradise, perfect for relaxing on one of the beautiful beaches. This location is also quite popular with surfers, so grab your board if you fancy having a go. Coming to Guarujá Island provides you with a quieter visit to Brazil, which may be perfect for you if you want to keep away from the busyness of some of the larger cities. It means you still get the best of Brazilian climates and culture without the hassle. The standard of luxury hotels here is very high, meaning you can enjoy paradise in the comfort of total luxury. 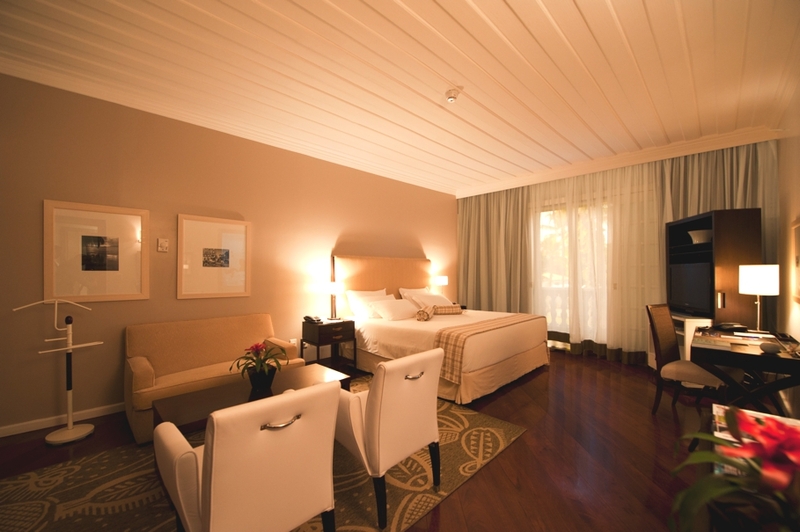 The Casa Grande Hotel Resort & Spa is set on the highly exclusive Guarujá Island, where Paulistanos (Sao Paulo locals) go to escape the hustle and bustle of city life. The resort’s authentic Brazil colonial architecture, along with its enviable white beach-front setting, makes the hotel a real landmark on the island.